An article entitled “Government Experiments Reveal Humans Are Capable Of Bending Physical Objects With Their Mind”, hosted at colllective-evolution.com and other conspiracy and pseudoscience websites, references only two sources, neither of which live up to the promise that “this-is-something-all-humans-are-capable-of-heres-the-proof”, as laid out in the article’s URL. The first of these sources is a truly mind-warping document, entitled “Teleportation Physics Study” which, it transpires, was funded by the US Air Force, for the price of $25,000 – a drop in the ocean compared to the millions of dollars its rather obscure author, Eric Davis, urges be spent on further research into the areas he covers therein. These include quantum teleportation, traversable wormholes, and…psychic teleportation – AKA psychokenisis (PK). Physics professor and famed sceptic Lawrence Krauss describes Davis’ report (a more fitting term than “study”) as “in large part crackpot physics,” with “some things adapted from reasonable theoretical studies, and other things from nonsensical ones.” As anybody who has read or watched “Men Who Stare at Goats” will know, the military has a well-documented pseudoscience track-record, and its penchant for quackery and mumbo-jumbo continues into the 21st century. In the psychokinesis section of the Teleportation Physics report, Davis cites (apparently without even a hint of irony) the notorious “PK parties'” run by Jack Houck in the 80s, in which Houck believed he could teach guests how to heat up metal with their minds to make it soft and pliable. (Michael Shermer attended one of these and was able to show, with the help of microscope analysis, despite Houk’s strong convictions to the contrary, that the bent spoons produced by the guests, allegedly using a mixture of mechanical and psychic force, had been caused purely by the former, showing no signs of structural alteration by heat.) Davis also describes “psychic Uri Geller” as “the original model for demonstrating PK metal bending” – again, apparently in total sincerity. See below for entertaining links on the denuding of Gellar’s many incidents of fraud. Houck and Geller have both been comprehensively debunked – typing their names into Google followed by “sceptic” or “debunked” will attest bountifully to their undazzlingness. However, slightly more ruffling than reference to a known con-artist and a deluded fantasist, later in the same section on psychokenisis, Davis cites a handful of obscure Chinese studies, mostly from the early 90s, involving “gifted” people with “extraordinary PK ability” who were allegedly able to make solid objects like watches and horsflies “meld” with walls, and teleport across rooms. Davis claims, with remarkable confidence, that “the experimental results were all repeatable”, and that “the conditions for fraud and sleight of hand were totally eliminated, and multiple independent outside witnesses (technical and military-intelligence experts) were present at all times to ensure total fidelity of the experiments”. His hyperbolic expression of confidence in the openness and authenticity of these studies (particularly given their political context) seems almost fanatical. Suspiciously, three of the four Chinese studies he mentions come from issue 1 of the ‘Chinese Journal of Somatic Science’. I can’t track down any of these papers online. However, let’s just say that, apart from anything else, Davis’ extraordinary failure to notice Geller’s so richly established status as fraudster does not bode at all well for his ability to detect dodgy experimental design or the dubious interpretation/reporting of results so common in parapsychology research (see links below). Moreover, scientists are in no way impervious to the illusions of stage magic – Project Alpha, for instance, saw fake psychics dupe researchers for over four years, stringing them along for over 160 hours’ worth of experiments on their “paranormal” abilities. Davis also spends a few paragraps talking about all the millions of dollars that the Soviet Union and its Warsaw Pack allies invested in “psi” research, including “psychotronics, human mind/behavior control, and the entire spectrum of parapsychology”. Davis never actually explains what exactly this research was able to show, and instead just assures us that it represents a “wealth of experimental data”. He also describes the Soviet Union’s “revolutionary techniques” for influencing human behaviour, which they called “controlled offensive behaviour”, in the same breath as stating that the research initiative of this era had been influenced and informed by material gained from Nazi research centres in and around Germany at the end of WWII. Ooof. The second source referenced in the collective-evolution.com article, in case you are interested, is a document entitled “PK Party Format and Materials Required“, in which Jack Houck basically lays down the itinerary for his whacky psychokinesis workshops. He talks about (but fails to provide) electron microscopic pictures of his PK-assisted bent spoons vs control spoons bent with “only” mechanical force, explaining that he shows these pictures to his attendees, “to give some scientific credibility to the phenomena”. As mentioned above, Michael Shermer enlisted the help of a metal specialist to analyse the structure of Houk’s spoons. They fitted the profile for mechanically-bent metal, with no signs of thermal structure alteration. Government experiments from the Cold War era may well have claimed to reveal that humans are capable of bending physical objects and getting horsflies to teleport (not fly!) across rooms, but the incentive to trust these claims is snivellingly low, and these results have not been replicated in other laboratories. If the experiments Davis cites are “all repeatable” and “rigorously controlled”, why has nobody repeated them, and collected the $1,000,000 James Randi has pledged to the first person who can demonstrate the occurence of a supernatural event under controlled conditions? Bottom line? 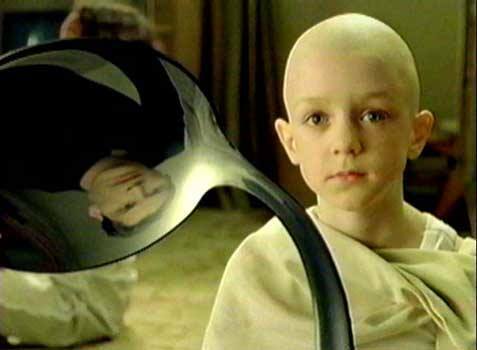 When you strip away the hype and outright falsities from the collective-evolution.com article, what you are left with is a picture which actually shows that despite the millions of dollars spent by the US military and the former USSR, all we have in support of psychokinesis and paranormal abilities are studies that are either debunked or so obscure as to be unavailable to your average Google-user. Since we have failed to find evidence for it in any of the places we have looked, the absolute best we can say for the paranormal it is that, if it does exist, we have no idea what it might do, how it might operate, or where to find it. I would love you to dip into the Davis report and comment, especially if you are a physicist.